Military BAH After Divorce: Understanding the "BAH-Differential"
When military families go through a divorce, the active duty serve member’s Basic Allowance for Housing, more commonly known as “BAH”, is likely to incur significant changes due to a change in marital status and percentage of time share custody. The purpose of BAH is to provide military members payment for their housing and utilities. It’s not designed to necessarily pay for all of the expenses of living, but at least a good percentage of it, depending on where the individual chooses to live. BAH is only payable to the service member when he/she is not living in government quarters. Also, the amount of BAH is calculated based on the service member’s rank, locating of posting and whether he/she has dependents. Divorce can affect BAH in a variety of ways. For instance, during marriage the service member may receive BAH to provide for housing for his/her spouse and children. 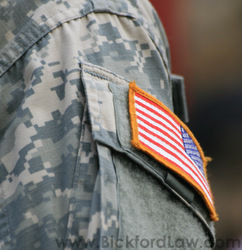 Family law attorneys will advise their military clients that upon divorce, the service member may lose the status of having dependents and instead be assigned to single-type government quarters, in which case he/she would no longer be eligible for BAH. However, what happens when that military member’s former spouse has custody of the child or children and the service member is required to pay child support? This is where BAH-differential, or BAH-DIFF, comes into play. BAH-DIFF is the amount of housing allowance for a service member who is living in single-type government quarters but is authorized a BAH solely by reason of the member's payment of child support. It is important to note that he/she is only entitled to BAH-DIFF if the monthly rate of that child support is more than the BAH-DIFF rate. Thus, it depends on whether or not the service member has legal and physical custody of his/her children, pays child support (and if so, in what amount), and/or lives in single-type government quarters. There are unique considerations for members of the military who are going through divorce. The factors that affect BAH can be quite complex. In order to understand whether or not you will still receive BAH after divorce and at what rate, it may be necessary to consult with an experienced divorce lawyer. Nancy J. Bickford is the only attorney in San Diego County representing clients in divorces, who is a Certified Family Law Specialist and who is actively licensed as a Certified Public Accountant (CPA). Don't settle for less when determining your rights. Call 858-793-8884 in Del Mar, Carmel Valley, North County or San Diego.